The municipality (commune) of Bordeaux proper has a population of 243,626 (2012). 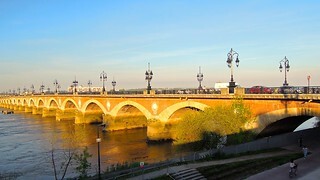 Together with its suburbs and satellite towns, Bordeaux is the centre of the Bordeaux Métropole. With 749,595 inhabitants (as of 2013) and 1,178,335 in the Metropolitan Area, it is the fifth largest in France, after Paris, Lyon, Marseille and Lille, and before Toulouse. It is the capital of the Nouvelle-Aquitaine region, as well as the prefecture of the Gironde department. Its inhabitants are called "Bordelais" (men) or "Bordelaises" (women). The term "Bordelais" may also refer to the city and its surrounding region.